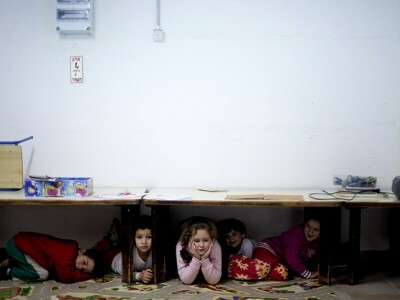 SOUTHERN ISRAEL STILL UNDER ATTACK BY PAL-TARD ROCKETS FROM GAZA……… – The Tundra Tabloids……. No doubt Israeli patience is running thin. I’m telling you, no other nation would endure such a scenario for long. If the Gaza Strip bordered Finland, the Finns would have carpet bombed the entire area, not leaving one ash can on top of another. Israel has endured over the past few days, almost 1/3 the rockets fired at it during the entire year of 2011. 676 war crimes projectiles were launched from Gaza into Israel, and not one UN resolution was ever passed against it, so obviously the UNGA is in approval. NOTE: The Swedish government however, would have thrown in the towel, converted to Islam and opened it’s borders. Life did not go on as usual today in southern Israel, for those within range of Gazan rockets. The Iron Dome system took care of most of the more dangerous rocket strikes, but that doesn’t mean it got them all, as some still managed to hit in Israeli population centers. 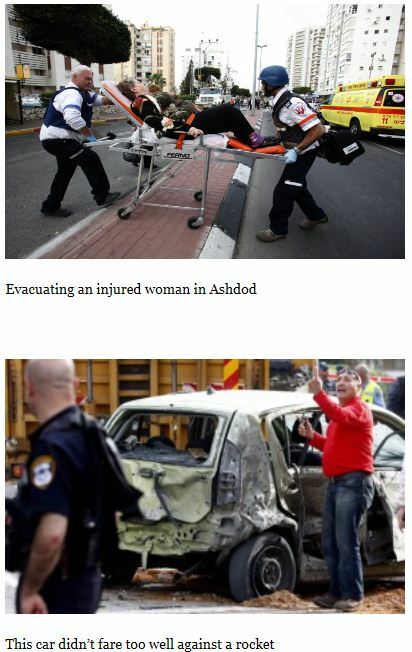 Here are some pictures of what life was like today in Israel’s southern cities and towns. Previous Post Previous Post HEAD PAL-TARD IN GAZA WHO ENGINEERED SCHALIT’S KIDNAPPING BECOMES CRATER FODDER BY IDF MISSILE……. Next Post Next Post COACH FOR CHICAGO FOOTBALL TEAM SAYS ALL AFRICAN AMERICANS SHOULD SUPPORT OBAMA……. Well, this is how jews survived all calamities history made them endure from the exodus through the medieval progroms and nazism right up to the years-long “palestinian” rocket attacks. Contrary to muslims, who love death (and it’s not me, but Bin Laden who said this), Jews are a people who love and celebrate life, and that’s what has made them avoid disappearing and keep on struggling against all adversities through the millenias.